Last week, I focused on the two prevalent animal welfare labels you see on egg cartons – UEP Certified Modern Cage and UEP Certified Cage-free. 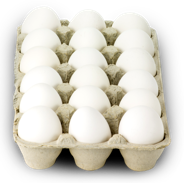 This blog focuses on USDA Certified Organic eggs and how this label is related to food safety. What is that symbol on my egg carton? You go to your local supermarket and begin your grocery shopping. Near the end of your shopping experience you make it to the refrigerated area where you want to pick up a carton of eggs. As you look down into the egg case, you realize there are so many choices!! How do you choose? Floods, Earthquakes and Tornados – Oh My!